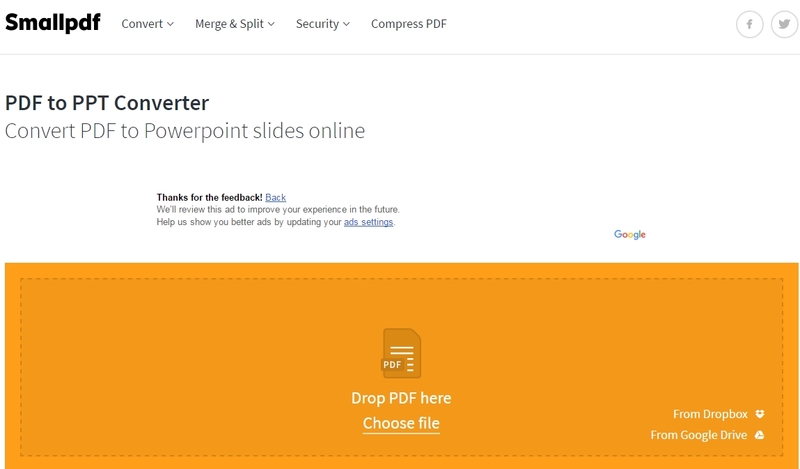 Here's a handy online tool in case you ever need to convert a PDF file to PowerPoint. My limited testing shows that the quality of the conversion is very good, takes about a minute for a few pages and best of all, no signing up. Trifecta!